Each year I carve a different Houdini-themed jack-o’-lantern, so here’s 2018’s offering. If you’d like to carve your own jack-o’-lantern, I posted steps on my Interval Magic blog. Happy Halloween! In September 1856, homeowner E.A. Rockwell petitioned the Buffalo Common Council to build a 7 x 14′ addition to his one-story home at 71 East Eagle Street in Buffalo, New York. Little did he know that 39 years later, Harry Houdini, future world-renowned King of Handcuffs, might be teaching magic, or even living, in that home. I write “might” because we don’t know if either of those scenarios is true. He owned it: He might have owned, and lived in, the house, conducting magic lessons while he wasn’t on the road performing. In that case, he could have been trying to generate potential income for when he returned in late September at the end of the Welsh Brothers Circus season. If that’s true, he wouldn’t have had too much time because four weeks later he began his tour with the American Gaiety Girls, starting in Troy, New York, almost 300 miles from Buffalo. While it’s tempting to accept this explanation, it’s unlikely he could afford a home considering his meager income at the time. He rented it: He could have rented a room in the house specifically to conduct lessons and other related magic business. As in the case above, he wouldn’t have had much time to teach between gigs. And in this scenario, we might ask ourselves why he wouldn’t want to teach at the East 69th Street apartment, assuming he still lived there in 1895. But that answer would be simple: Space there was limited and distractions aplenty. It wasn’t him: The “PROF. HOUDINI” listed in the ad could have been Jacob Hyman, Houdini’s friend and former Brothers Houdini partner, who, for a time, also used the name Houdini. Perhaps Hyman rented a room in the house. If not him, maybe another conjurer. While Houdini wouldn’t achieve fame in the United States for another four years, it’s possible a local competing magician living at East Eagle heard of him, knew he was out of town, and used Houdini’s name to attract more clients. If Houdini did live or work at East Eagle, the house no longer stands. 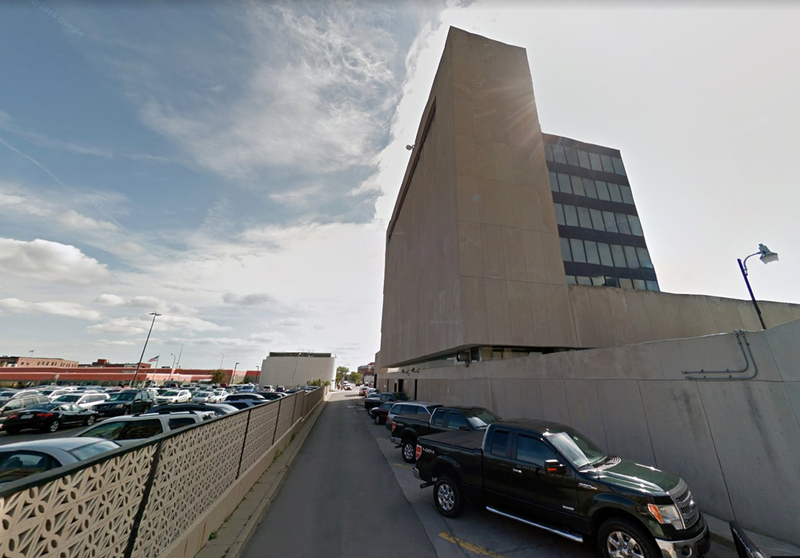 In its place is the Niagara Frontier Transportation Authority (NFTA) Metro, and directly across the street is a parking lot once probably occupied by homes. At the time, Houdini would have walked out the front door to see in the distance a Presbyterian church where the Rand Building now stands and possibly a cow pasture where the adjacent building, the Lafayette Hotel, is. According to newspaper ads of the day, the house was a “desirable” one-story cottage on a 30 x 100′ lot and had “gas and water” and at least three rooms that different owners over time rented out. In June 1885, one rental ad suggests the owner lived on the premises with only a small number of tenants: “Double and single furnished rooms in a private family.” And by the early 1890s, Williams & Potter, a law firm on Main Street in Buffalo, was letting rooms. The varied spellings of the surname are a bit confusing, but that still doesn’t distract from the more important question: Who is she? Is she, herself, a magician, or did she work for one? If the latter, was it Houdini, Hyman, or another local conjurer, assuming any of them even lived at East Eagle? Could Emily Miller, or Mills, have been an alias Houdini, Bess, Hyman, or someone else used? If you’re a fellow Houdini enthusiast who has information about any of this, please contact me, and I’ll update this article. Proving Houdini actually did occupy East Eagle makes other residents of the house become relevant within the framework of Houdini lore. With that hope in mind, I leave you with a list of some owners and residents living there before and after 1895, their stories mundane to tragic. May 1918: Mrs. Celesta Clark, who mourned the loss of her son, Private Willard Franklin Clark, an officer in the American Expeditionary Forces killed in action during World War I. From the time Harry Houdini graced the stage in the early 1890s as one of the two Brothers Houdini, to the day he died in 1926, he earned a superabundant paper-flood of press coverage. Whether he was mentioned only once in a sentence or featured in a two-page spread, complete with photos and some of the mythology that helped make him a legend, newspapers worldwide seemed powerless to resist his presence. Houdini’s wife, Bess, on the other hand, was lucky to get an honorable mention, despite the fact she worked just as hard as Houdini. That’s why I was so pleased to find an actual photo of Bess in the Sunday, June 11, 1899 edition of the San Francisco Chronicle, with the caption, “MLLE. BEATRICE HOUDINI” (for the younger among you, “Mlle.” is an abbreviation for “Mademoiselle”). That might not sound like a big deal, but to find a photo of Bess in any newspaper published before Houdini’s death seems, to me, like “a miracle of a semireligious nature,” to borrow James Randi’s words. I’m sure, by now, at least a few fellow Houdini geeks came across this image, but I think it’s the first time I’ve ever seen it. Take a gander (click or tap to enlarge), then continue below. Houdini, the “king of handcuffs,” will have new tricks with cards, illusions and will demonstrate that he can escape from the dreaded “Oregon boot” quite as easily as he can from the regulation handcuff. Here’s an early photo of the Orpheum, taken possibly ten years or more after Houdini and Bess performed there. By the way, if you haven’t heard of the “Oregon boot,” it was a sort of modern ball and chain that could do more damage to its prisoner if he tried to run. Anyway, sorry to digress. The point here is that the Chronicle article, in a rare occurrence, gave top billing to Bess, and I wanted to pass along the image in case you haven’t already seen it. Bess, like many amazing women, was exiled to the periphery of publicity, so I feel that much more fortunate to have found this little piece of history pertaining to the Mademoiselle. UPDATE (07.02.2018, 4:36 p.m. PT): Friend John Cox of the awesome Wild About Harry just informed me there’s a small reproduction of the same clipping of Bess on page 56 of Houdini: His Legend and His Magic, by Doug Henning. Thanks for the heads-up, John. When Rev. Dr. Mayer Samuel Weiss arrived in the United States in 1876, doubt likely plagued his mind. At 47, he wasn’t a young man anymore, but he wanted to create a better life for his family back in Budapest. Mayer was 5,000 miles away from everyone he loved, but he wouldn’t be alone for much longer. 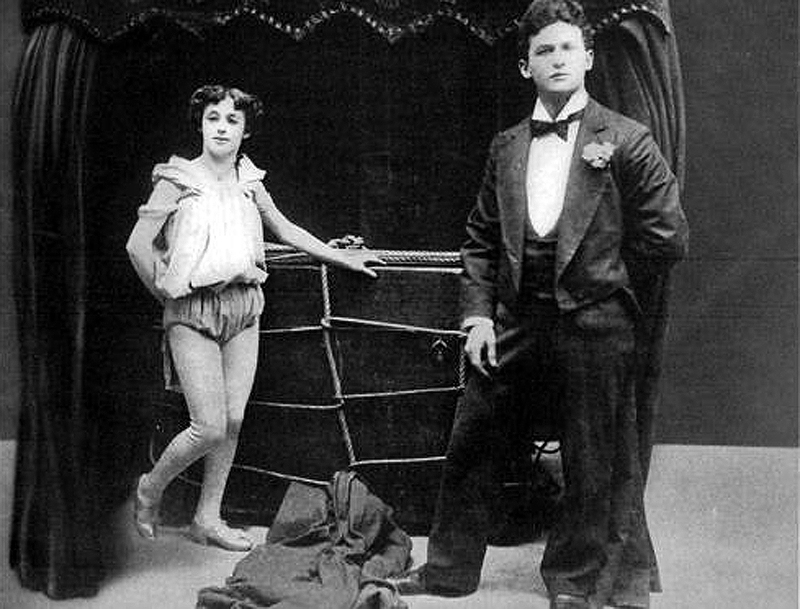 His wife, Cecilia, and the five children—including four-year-old Ehrich, who would later achieve worldwide fame as Harry Houdini—joined him in Appleton that year. 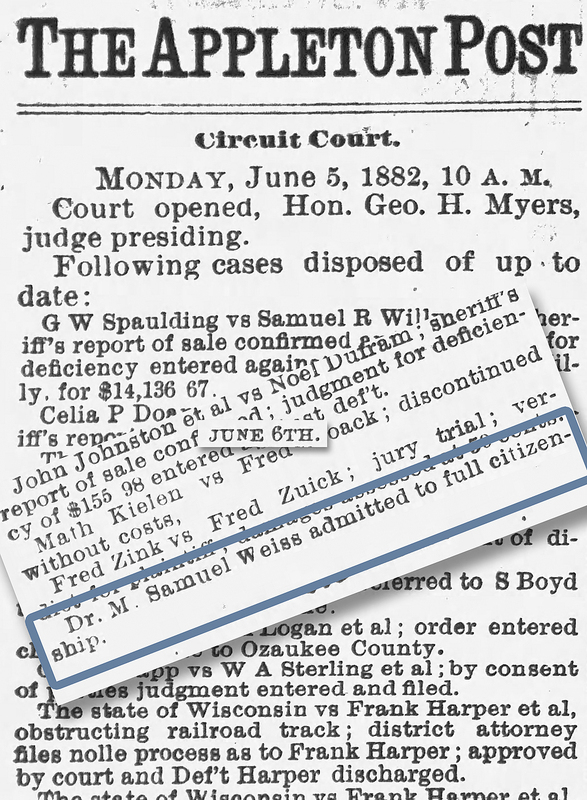 Samuel Weiss became a citizen of the United States on June 6, 1882. Yet respect and admiration weren’t enough. 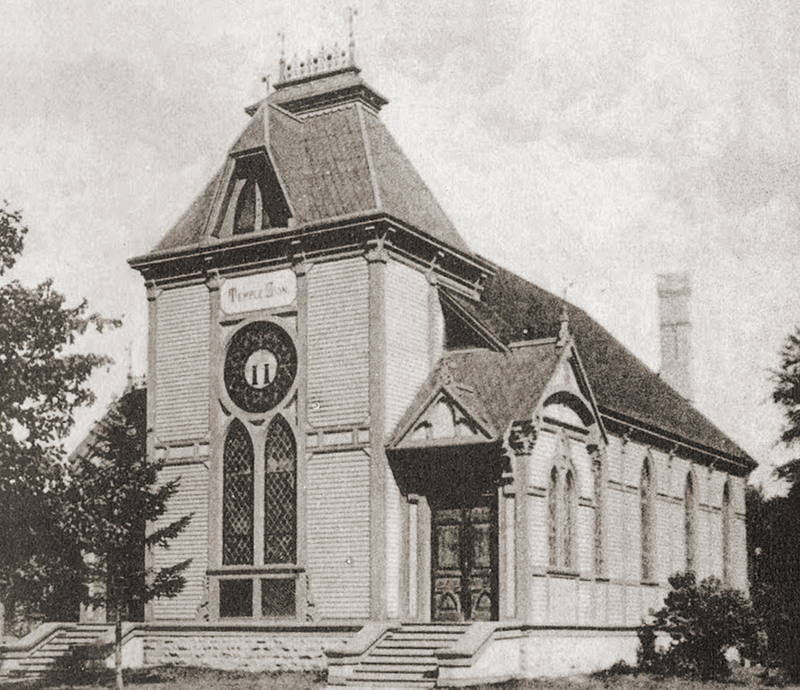 By 1882, the year Mayer officially became a citizen of the United States, the congregation, or possibly its president and future Appleton mayor, David Hammel, had serious reservations about the rabbi. “Some of the leading actors in the congregation, thinking he had grown too old to hold his position, supplanted him for a younger man,” Houdini later wrote in Will Goldston’s The Magician Annual of 1909–1910. Major biographies about Houdini, including Kenneth Silverman’s Houdini!!! : The Career of Ehrich Weiss, and Houdini: The Making of America’s First Superhero, by William Kalush and Larry Sloman, similarly attribute the rabbi’s ousting to his age, old-world views, and inability to speak English. 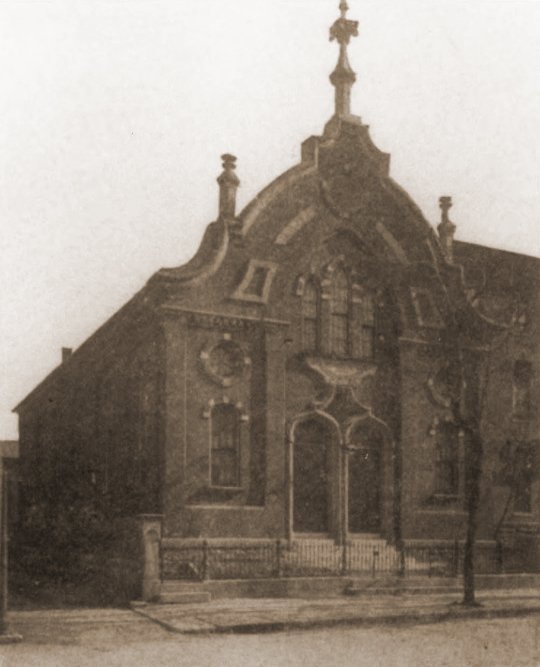 No one definitively knows why the congregation wanted to replace Mayer, who led the group before it even had its official synagogue, Temple Zion, on the corner of Harris and Durkee streets (before that, they met on Fridays and Saturdays in Odd Fellows’ hall on College Ave.). Age and outdated views are feasible explanations, but the three languages he spoke (Hebrew, Hungarian, and German) shouldn’t have been an issue since probably most members of the congregation were among the three waves of German immigrants to settle in the United States from 1845 to 1893. Plus, the rabbi that the congregation chose to replace Mayer, Ferdinand J. Solomon of Westphalia, Germany, didn’t know how to speak English. Described by the Crescent as “highly polished,” Solomon was a graduate of Muenster University in Westphalia. So what did Solomon have that Mayer didn’t? Greater eloquence? More progressive ideas? German blood? A willingness to learn English? Or was Mayer’s firing related to something completely different, such as a falling out between him and Hammel? The latter might help to explain why Mayer wasn’t mentioned in a lengthy feature article in the Crescent about Temple Zion’s dedication on September 14, 1883, or in any dedication announcements leading up to that day. That’s a pretty blatant omission considering Mayer helped plan the temple. 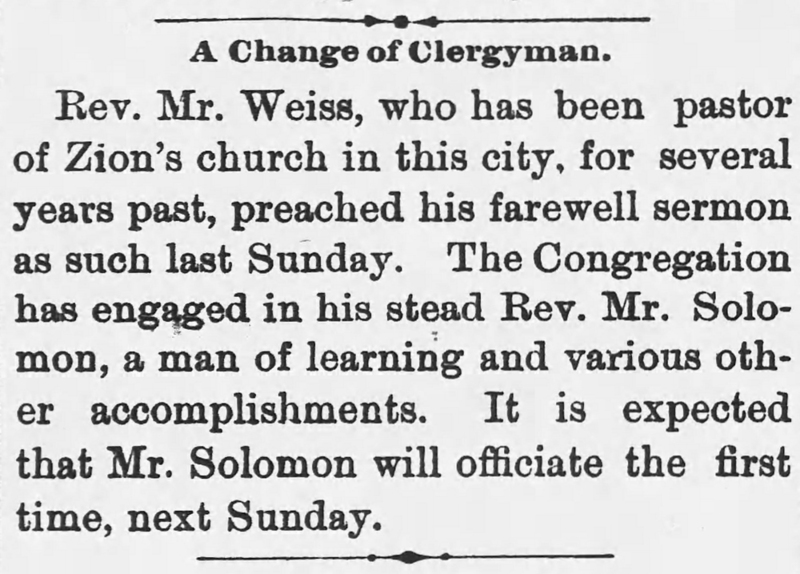 In any case, Hammel and the rest of the congregation were clearly satisfied with the new rabbi’s leadership because Solomon held that position until his death on May 11, 1892. It’s not clear exactly when the congregation officially appointed Gerechter, but he was Zion’s rabbi by September 2, 1892, the day of his first sermon, and continued in that role for 28 years until he left Appleton in 1920. During that stretch, he also was professor of German and Hebrew at Lawrence University in Appleton before his retirement in 1913. He died on Oct. 13, 1926, less than three weeks before Houdini died. 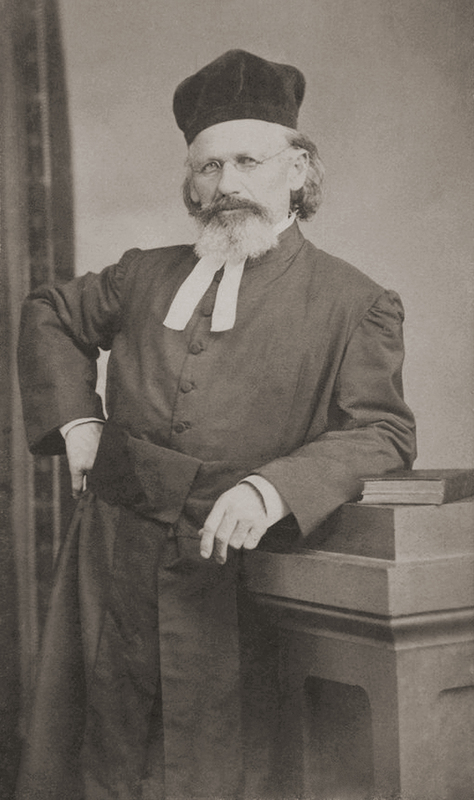 After Mayer’s farewell sermon in August 1882, he and his family didn’t stay in Appleton for very long. 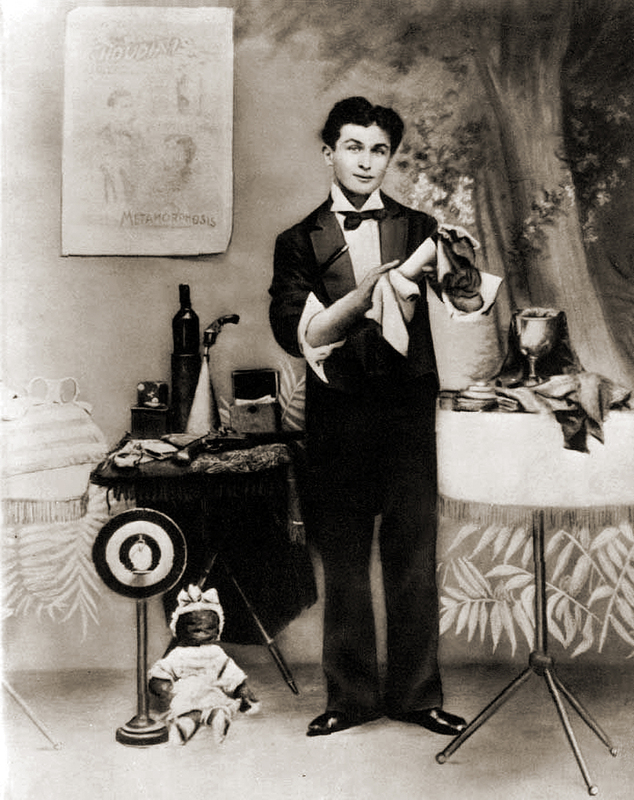 “We thereon moved to Milwaukee, Wis.,” continued Houdini in The Magician Annual, “where such hardships and hunger became our lot that the less said on the subject the better.” By that time, Cecilia had two more children, which made it even more difficult for Mayer to support the family. Did Mayer travel that far for only one job? 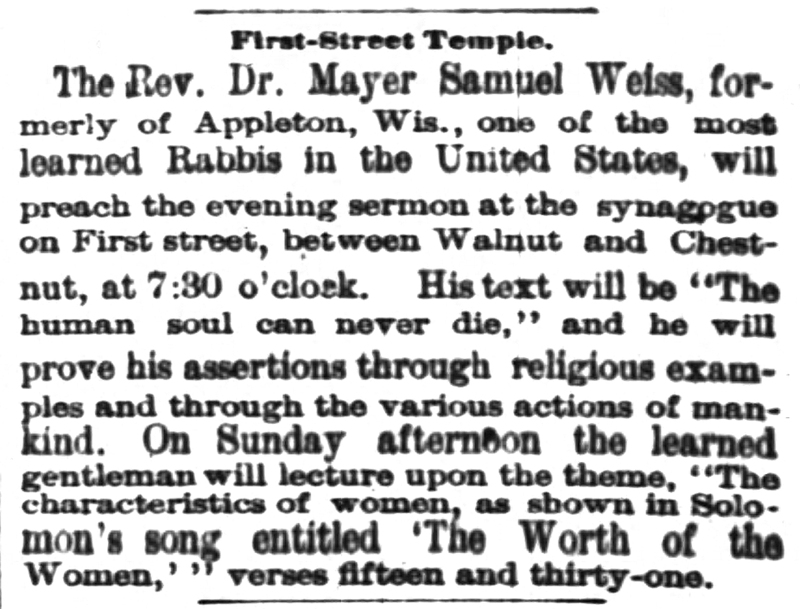 Although records like the aforementioned newspaper clipping seem to be rare, it’s hard to believe this particular trip didn’t include several sermon stops along the way—a rabbinical tour, of sorts. And did he make similar road trips before and after Louisville? Either way, he most likely officiated services when and where he could, locally or otherwise, and, according to Silverman, might have opened a “private school” in Milwaukee. Ultimately, his efforts didn’t make a difference, and his family was forced to ask for help. Even Ehrich, who by now made his debut as trapeze artist “Ehrich, The Prince of the Air” in a neighborhood children’s “circus,” helped earn money by shining shoes, selling newspapers, and running errands. And if Ehrich’s brothers, Herman, Nathan, and William, also contributed during the lean years, records don’t seem to show it. They were the only siblings conceivably old enough to get odd jobs like Ehrich. Within Milwaukee, the Weisses moved from one place to another, and some Houdini biographers, including Kalush and Sloman and Bernard C. Meyer, author of Houdini: A Mind in Chains, suggest they were trying to avoid creditors. And to add to the emotional turmoil the family was already going through, Herman, Ehrich’s half-brother, died of tuberculosis in December 1885 at the age of 22. Considering the profound stress on the family, their horrific living conditions, and Herman’s death, it’s no surprise Ehrich ran away in 1886 to escape hardship or to find work out of duty for his family. Either way, very little is known about Ehrich’s time away from home except that he ended up in Delavan, Wisconsin, where a compassionate couple, the Flitcrofts, took him in that summer. The only tangible artifacts that exist from that time are photos of Houdini with the Flitcrofts and a postcard young Ehrich sent to his mother. Sometime in 1887, Mayer temporarily left his family again to find work, this time in New York City. Ehrich met him later that year, followed by the rest of the family in 1888. Once again, rabbinical work was hard to come by, and Ehrich, and possibly his father, found jobs on Broadway as assistant necktie cutters at H. Richter’s Sons, which touted “steady work guaranteed” in at least one of its help-wanted ads. (It’s interesting to note those ads always asked for female applicants.) Apparently the “steady work” at Richter’s didn’t bring in enough money, so Ehrich also worked in a tool-and-die shop, possibly in a print shop, and as a messenger boy for the Mutual District Messenger Company and the American District Telegraph Company. With money coming in, the years ahead for the Weisses were slightly easier. Ehrich developed serious interests in long-distance running and conjuring. His passion for magic might have developed earlier in Milwaukee, and it was likely intensified around 1891 after he met Jacob Hyman, a coworker at Richter’s and fellow amateur magician. Inspired by the memoir of Jean Eugène Robert-Houdin, the pioneering 19th-century French conjurer, Ehrich or Jacob invented the name “Houdini” by adding an “i” to the end of Houdin. Together, they developed a conjuring act, quit Richter’s, and performed in New York as “The Brothers Houdini.” Their feature illusion, a brilliant variation of John Nevil Maskelyne’s Marvelous Box Trick, was Metamorphosis, in which they switched places inside a locked wooden trunk in three seconds. Ehrich and Jacob continued to perform until early 1894 when Jacob dissolved the act. 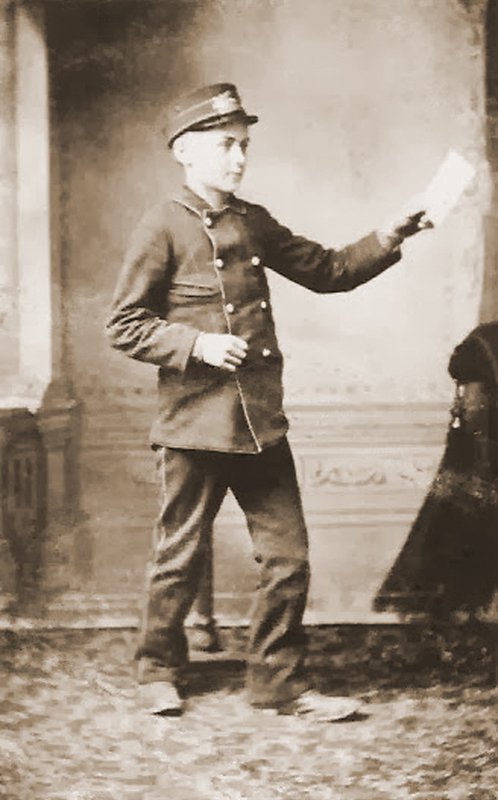 For a short time, Jacob’s brother, Joe, took over until Theodore Weiss, one of Ehrich’s younger brothers later to be known as Hardeen, became the third Brother Houdini. But Ehrich and Theo’s partnership also was short-lived. At the beginning of June 1894, Ehrich met Wilhelmina Beatrice Rahner (Bess) in Coney Island, New York, and, after a whirlwind courtship, married her a few weeks later. 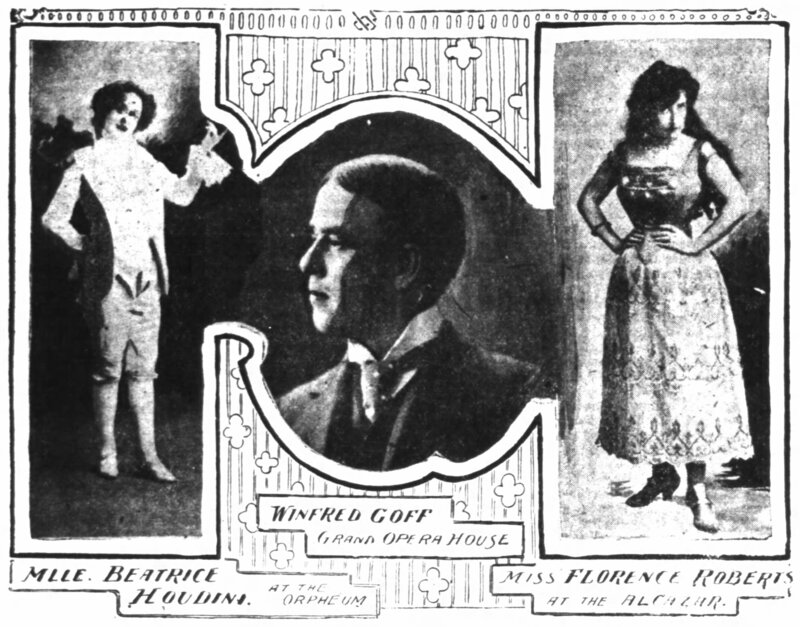 She replaced Theo in the act, and Ehrich and Bess performed as “The Houdinis.” Although Jacob continued to perform using the name Houdini and J.H. Houdini (and with his brother Joe, sometimes “Houdini and Herne” or “The Brothers Herne”), Ehrich considered himself the one and only Houdini, changing his first name to Harry, derived from “Ehrie,” his childhood nickname. Thus Harry Houdini was born. Mayer Samuel never got to meet Bess or see his son attain international fame as Houdini only 13 years later. Appleton’s first rabbi died on October 5, 1892, age 63, after an operation to remove a malignant carcinoma from his tongue. 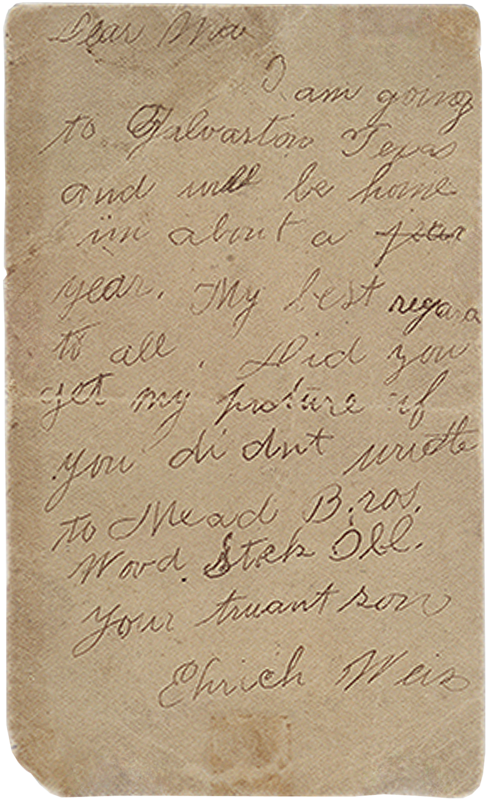 Houdini lore would have us believe that Mayer, just before his death, asked Ehrich to renew a promise he made as an 11-year-old in Milwaukee to provide for Cecilia after the rabbi’s demise. Whether or not that’s true, one thing is clear: From the days he mailed Cecilia part of his meager income from dime museums, beer halls, big tops, and variety shows, to the time in Budapest when he reportedly hosted a lavish gala for her as she wore a gown designed for Queen Victoria, Houdini did everything he possibly could to make his mother’s life easier. 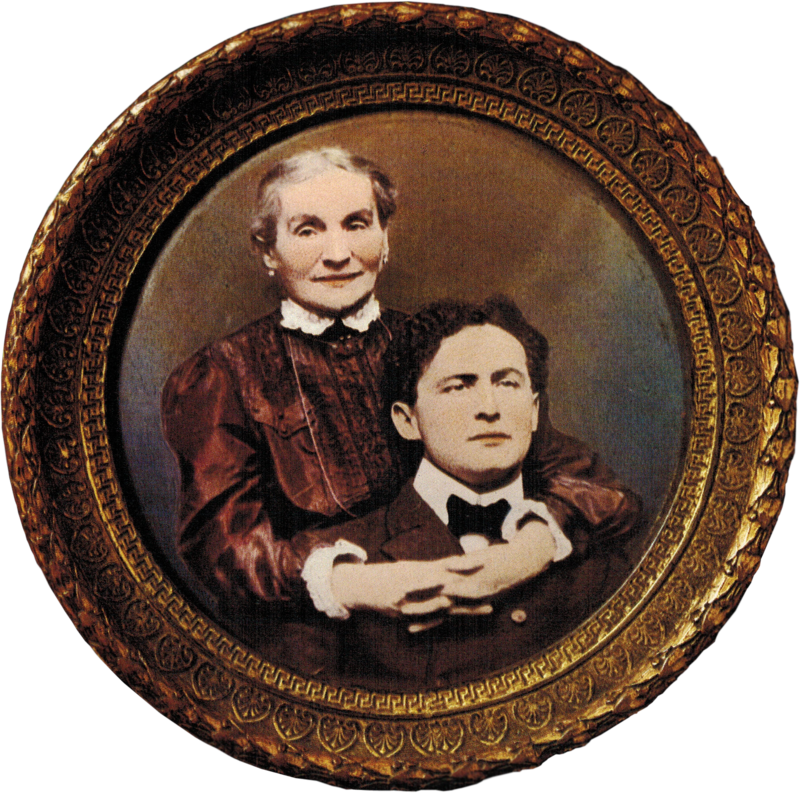 Some researches, such as Bernard Meyer, might assert Houdini had an Oedipus complex and was therefore trying to atone for his father’s inability to support the family while worshiping his mother to an unnatural degree. But it’s more likely Houdini was simply trying to be a good son—his own version of a farewell sermon honoring both Cecilia and Mayer, who did the best they could during their arduous years in the United States. There’s no enviable day to die, but if you’re a magician, and you have to cash in your chips, anyway, it might as well be on Halloween. That’s exactly what Harry Houdini did 91 years ago today: October 31, 1926, 1:26 p.m., age 52. Of course, it wasn’t intentional. And of all the things that could have killed a daredevil like him—drowning, suffocation, strangulation, plummeting—it was peritonitis that ultimately did him in. I suspect that today at least some Houdini and history bloggers will expound on the myths, realities, and ironies of the pioneering showman’s demise, so I won’t offer you more of that. Hosted by the New York Police Department, the Police Field Day Games was an annual fundraising event held in the summer or early autumn on two consecutive Saturdays or Sundays at the Gravesend Race Track in Brooklyn, New York, among other locations, including Sheepshead Bay Race Track, also in Brooklyn. The exhibition gave the public a chance to see New York’s finest demonstrate their athletic ability as police competed in everything from horse-riding challenges to hurdle races amid the pomp and circumstance of band music, singing, and humorous contests that “caused such laughter that the big grandstand fairly rocked,” according to The National Police Journal, October 1921, p. 30. Houdini performed his suspended straitjacket escape at the Games on at least four days in 1920 and 1921 (and probably more in previous or succeeding years): the Sundays of August 22 and 29, 1920, and the Saturdays of September 10 and 17, 1921. While it’s not clear how many people watched Houdini on any given day, according to the Journal article I cited above, the two days of 1921 Games events attracted nearly 300,000 people and raised an estimated $400,000. I want to say about [Houdini]—of his wonderful generosity and fine way of exemplifying it. He has a pretty hard job, and it’s pretty hard on him to steal this gentleman away from his vacation—away from the few leisure months that he has, and ask him to perform for some charitable purpose. But we have called upon him and he has come down to the great field day tournament, whether they be in July or August or in early September, which is the latest that we hold these games. Houdini comes down and performs for us and he is one of the best and most spectacular and finest exhibitions that we have. And this wonderful charity that he supports so brilliantly with what he does makes up a fund which is used for the widows and orphans of policemen who are killed in the discharge of their duty, and so Houdini is a magician for these widows and orphans. He helps in his wonderful way to bring magical things to them—things that they could not have if it weren’t for the support of men like Houdini—and I tell you that is the great magic of the world. To see Houdini in action at one of the Field Day events, check out the video John Cox, of Wild About Harry, posted a few years ago, courtesy of John Oliver: Never-before-shown film of Houdini. In the mean time, happy Halloween and Houdini Remembrance Day to all.